Good morning. It's Friday, Jan. 18. Please note: The newsletter will pause for the holiday weekend. We'll be back in your inbox on Tuesday. • Scientists warn of a monarch butterfly "extinction vortex." • Drought-depleted lakes get a crucial helping of water. • And a look back at when California banned homework. 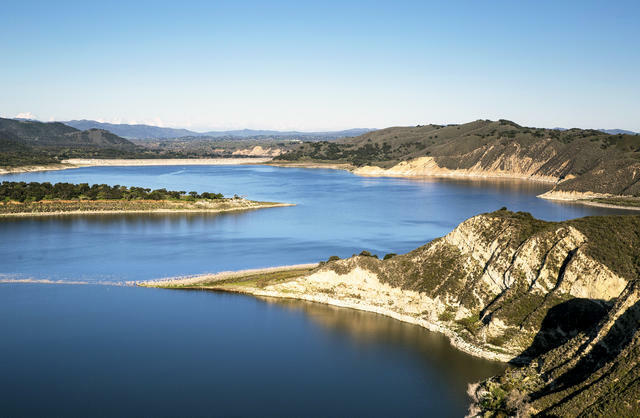 Cachuma Lake, seen last spring, is a principal source of drinking water on the Central Coast. California's stormy weather finally began to move out after dumping much-needed precipitation across the state. Lake Elsinore, Southern California’s largest natural freshwater lake, got a crucial helping of water. So did the Central Coast's drought-depleted Cachuma Lake, which rose by more than two feet. And the Sierra snowpack surged to 103 percent of normal — up from 69 percent on Jan. 1. Monarch butterflies in Pismo Beach last month. "We're now down below 1 percent of the historic population." 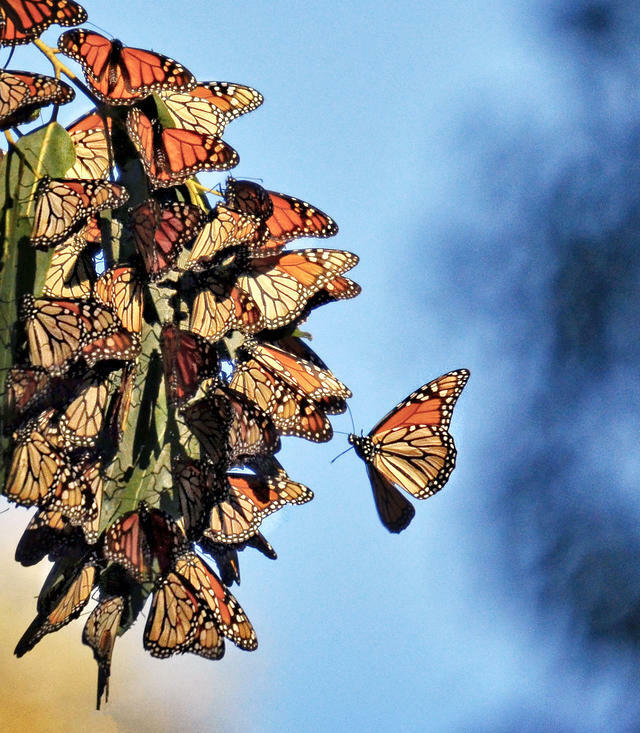 Scientists knew things were bad for the monarch butterfly population in California, but then there was a population drop of an unexpected order of magnitude. They are warning now of an "extinction vortex," when there are not enough butterflies left to recover. In a show of defiance, Gov. Gavin Newsom encouraged TSA workers to apply for unemployment insurance through the state, even though the Trump administration said they were ineligible. "The good news is, we're going to do it and shame on them," Newsom said. "They are, in essence, threatening us for doing what we're doing." Before she was a senator, Kamala Harris was California's attorney general and San Francisco’s district attorney. A California law professor challenged Sen. Kamala Harris's credentials as a "progressive prosecutor" in the opinion section of the N.Y. Times. 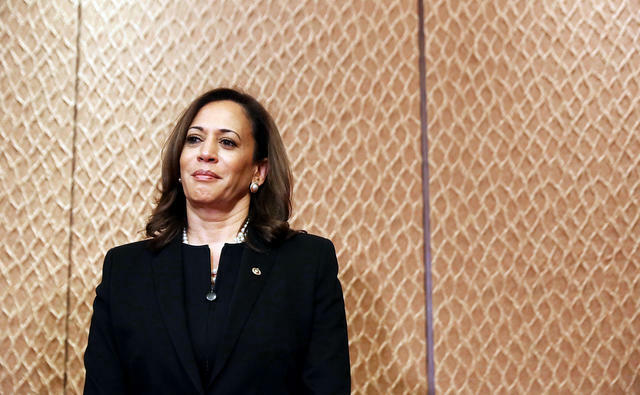 "Most troubling," she wrote, "Ms. Harris fought tooth and nail to uphold wrongful convictions that had been secured through official misconduct that included evidence tampering, false testimony and the suppression of crucial information by prosecutors." In one of his biggest applause lines at a recent farming convention, President Trump promised to make it easier for migrants to cross the border and work the fields. "Because you need these people," he said. Now California legislators in Congress have unveiled an agricultural guestworker program that could do just that. To win acceptance from the gorillas, Dian Fossey mimicked their behavior. Naturalist Dian Fossey was born in San Francisco on this week in 1932. She studied at the College of Marin and San Jose State University before setting off to study mountain gorillas in the jungles of Central Africa, where she lived for two decades. Fossey achieved almost saintlike status through her crusade to protect the rare species from poachers, a story popularized in the 1988 movie based on her autobiography "Gorillas in the Mist." But she never saw the film. Fossey was found dead in her cabin in 1985, her body hacked by machetes. The killing has remained an enigma, often attributed to vengeful poachers. 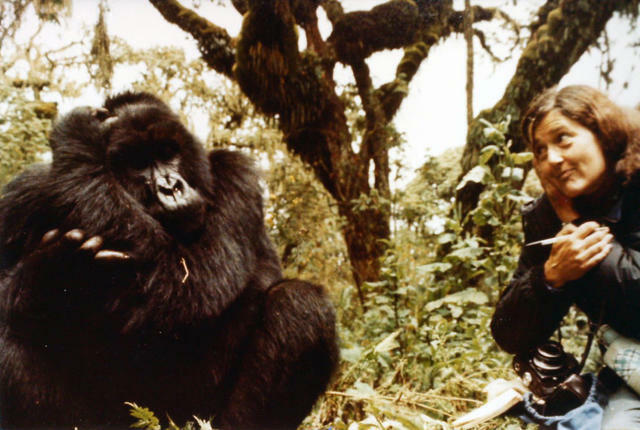 In interviews, Fossey acknowledged that she preferred the company of gorillas to that of humans. "I have no friends," she once said. "The more you learn about the dignity of the gorilla, the more you want to avoid people." A Fresno County farmworker was awarded $1 million after accusing his former employer's lawyer of reporting him to immigration agents in retaliation for a wage complaint. A court said the lawyer showed a "pattern and practice" of contacting I.C.E. about workers who asserted their rights. Legal experts say cases of so-called immigration retaliation have been on the rise in California. 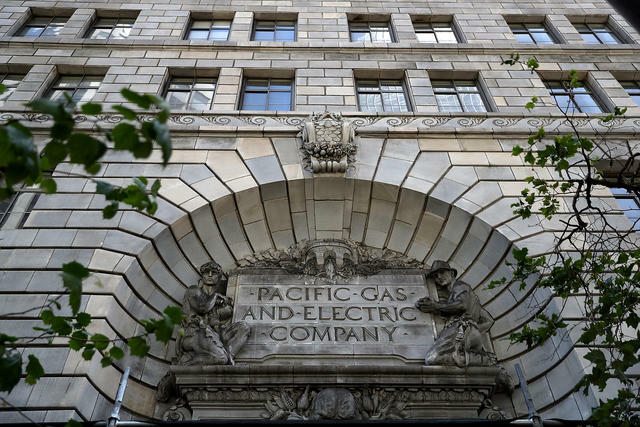 PG&E, which is so cash-starved it won't commit to paying settlements with victims of a 2015 wildfire, owns a massive headquarters in downtown San Francisco with an estimated value of $1 billion. Gov. Gavin Newsom said all options were on the table for addressing the PG&E crisis, including the sale of its assets. 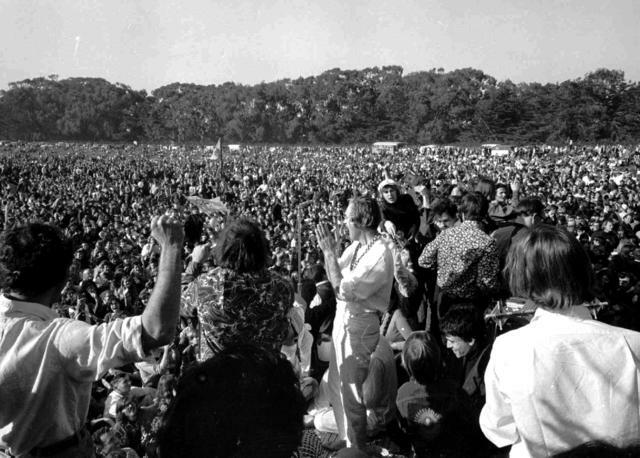 Timothy Leary led the crowd in song at the Human Be-in on Jan. 14, 1967. It was this week in 1967 that San Francisco's Golden Gate Park hosted the Human Be-in, billed as a coming together of the various wings of the counterculture movement. Massive amounts of LSD were distributed among the crowd of at least 15,000 beatniks and hippies. Jefferson Airplane and The Grateful Dead played. And a who's who of counterculture luminaries spoke, including the Harvard psychologist-turned-high-priest of psychedelics Timothy Leary, who uttered: "Turn on, tune in, drop out." Half a century later, the Human Be-in is recalled as a prelude to the Summer of Love months later and a catalyst in many ways to the 1960s as we know it. 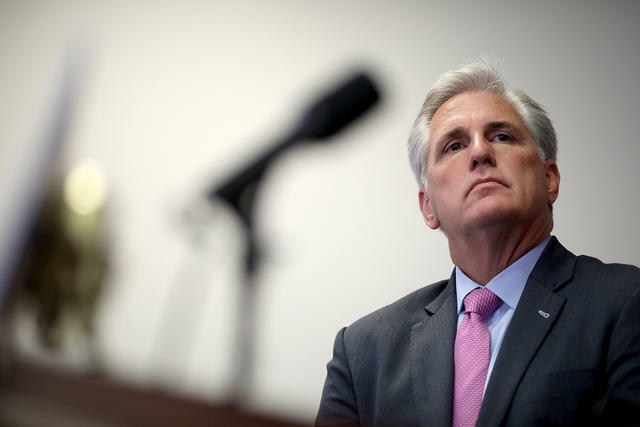 Rep. Kevin McCarthy, of Bakersfield, faced his first big test as the leader of Republicans in the House. Rep. Steve King thought he'd be scolded by House Minority Leader Kevin McCarthy for questioning why white supremacy is considered offensive. Instead, McCarthy — whom King has privately knocked as soft — essentially ended the Iowa Republican's career in congressional politics. "Past leaders did not act," McCarthy said. "I just felt, I don't care if it hurts me or not — I've got to just do the right thing." Desert bighorn sheep in the Mojave Trails National Monument. "There's obviously something going on here." 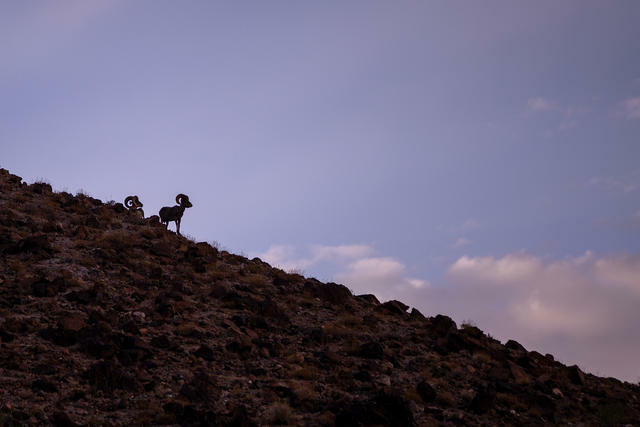 Icons of the American West, desert bighorn sheep are dying and experts aren't sure why. Wildlife biologists investigating a herd around San Gorgonio mountain said its numbers were down to as little as a third of normal. A China-based developer is planning a tower in Los Angeles that would be America's tallest building west of the Mississippi River. 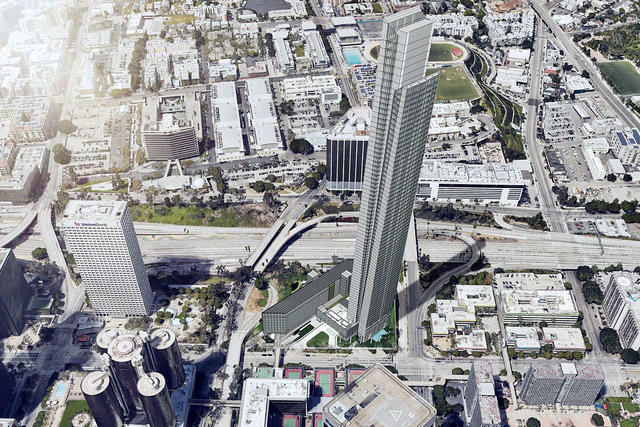 At 1,107 feet, the building would rise just a bit higher than the current crown holder, also in Los Angeles, the 1,100-foot-tall Wilshire Grand. The height is no accident. "Who doesn’t want bragging rights?" the building's architect said. Some people carry a rabbit's foot or toss a coin into a fountain. In a remote corner of Death Valley, a strange metallic oasis clatters in the wind as part of a more obscure luck tradition. 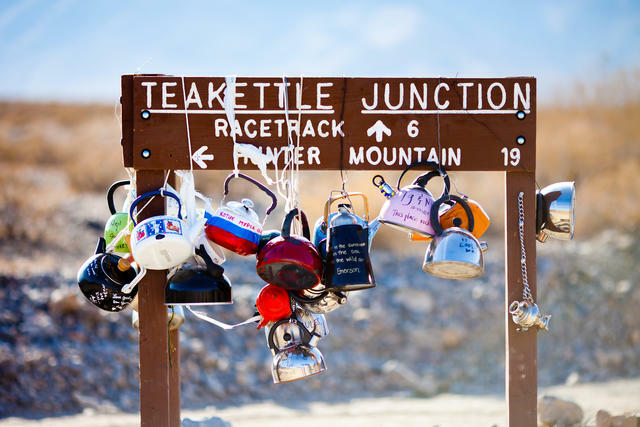 The origins of Teakettle Junction are murky. But at some point, visitors began leaving cookware on a signpost inscribed with messages for good luck. 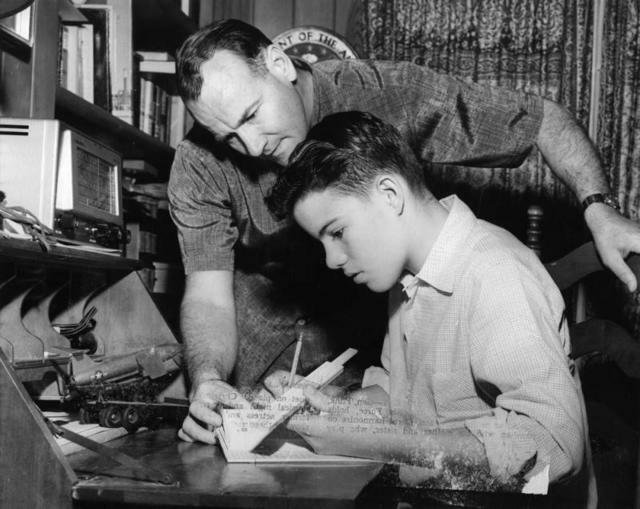 A student in Los Angeles worked on a math problem with his dad in 1958. 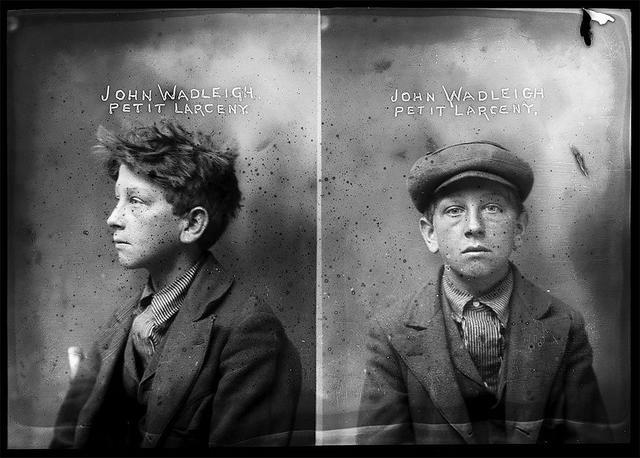 In 1901, California passed a statewide prohibition of homework for children under the age of 15. Proponents of the legislation argued that homework was turning children into nervous wrecks. "When are parents going to open their eyes to this fearful evil?" wrote the editor of Ladies' Home Journal. "Are they as blind as bats, that they do not see what is being wrought by this crowning folly of night study?" The law fell off the books a couple decades later. By the end of the century, thanks in part to fears about mediocrity in American schools, an overwhelming consensus was formed in favor of homework. Even so, in recent years the old controversy has roared back to life as teenagers, particularly in competitve schools, contend with homework burdens of up to 15 hours a week. In 2014, the California PTA passed a statewide resolution urging schools to lessen the burden. A recent study found that homework was now the biggest stressor for high schoolers — more so than bullying or low self-esteem. "That's probably the number one thing that kids talk about is the stress and anxiety that comes with too much homework," a La Jolla psychologist told NBC Los Angeles.